Kyle Routledge is a New West resident and wildlife biologist with a passion for sustainability and moving towards a greener future. He knows the value of collaboration and is always looking for people and projects to get involved with to enhance our community. 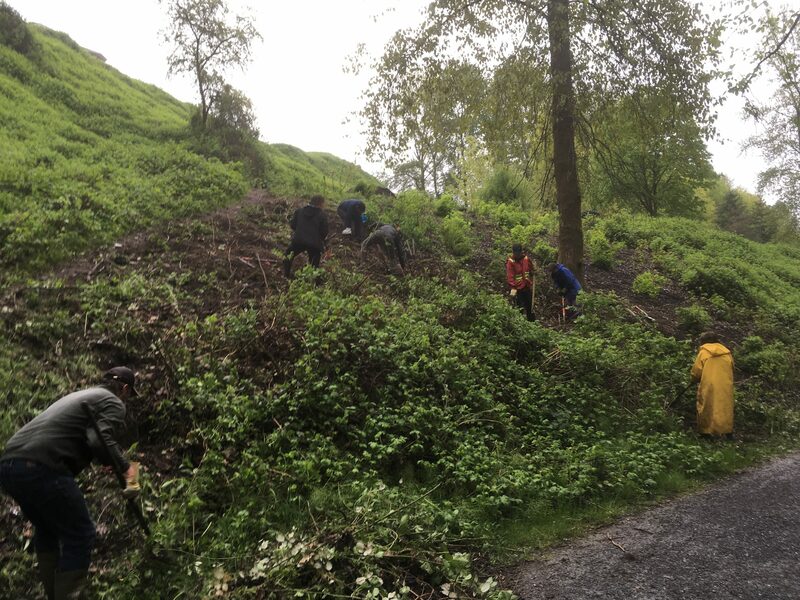 Attention New West Glenbrook Ravine restorers – keep your Saturday morning clear on August 25th, our next day of ecological enhancement the ravine. On Saturday, August 25, from 10:00 am to 1:00 pm, we will be having our fourth day in the ravine of the year. Our first day in April was pretty wet and soggy, but the weather in May was beautiful. In June we took some time to tend to the native species we planted last year. The next two days (August 25 and September 29) will be to prepare the site for planting native species in the Fall (October 27). Please share this with anyone who you think might be interested. Looking forward to seeing everyone on the 25th! Looking forward to seeing everyone on the 25th! 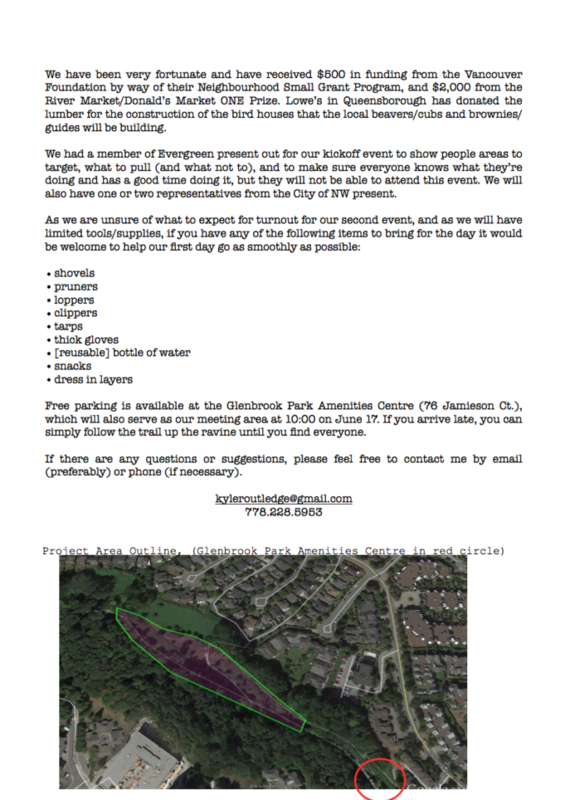 It’s almost time for the fourth, and final, round of ecological enhancement in the Glenbrook Ravine. Our third day on August 12 had a smaller turnout than the initial two events, but as it was in the middle of the summer holidays, this was expected. We still had nearly 20 participating, and we made good progress in removing invasive plants in year one. We will be meeting on Saturday, October 14 from 10:00 am to 1:00 pm. We will have a number of enthusiastic volunteers out helping to put approximately 200 plants in the ground. Pleas forward this on to anyone who you think might be interested. Looking forward to seeing everyone on the 14th! 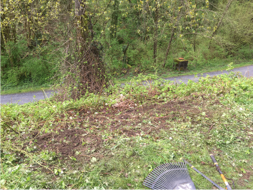 Glenbrook Ravine Cleanup – Round Two! 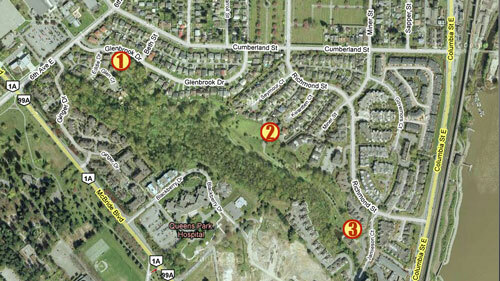 It’s almost time for the second round of invasive plant removal in the Glenbrook Ravine. 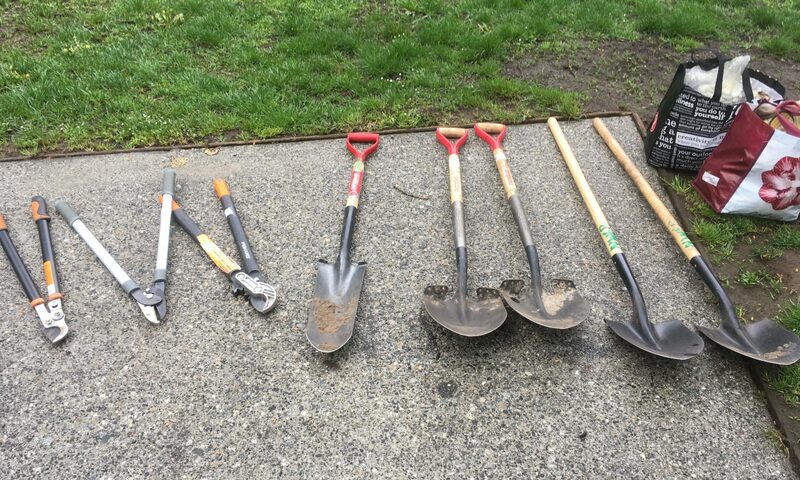 On Saturday, May 13, we had our first day of volunteers out to begin our long journey of ecologically enhancing the Glenbrook Ravine. We had a great turnout with a lot of positive attitudes, in spite of the initial rain. In very little time, we were able to really notice the progress we were making. With plenty of water, juice, and snacks to fuel us, and with tools provided by Evergreen, the New Westminster Environmental Partners (NWEP), and most volunteers, we were able to really get to the root of the issue, removing a substantial amount of the blackberry. Now it’s time to get back at it again! 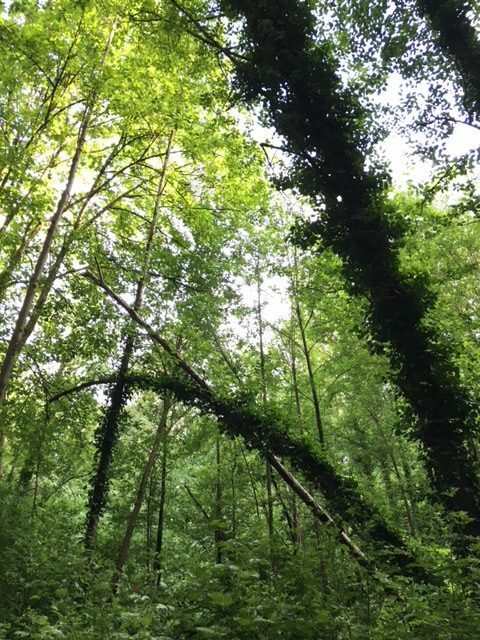 You know you enjoy the peaceful serenity that the Glenbrook Ravine has to offer, but that you also feel a sense of dismay from all of the invasive plants. 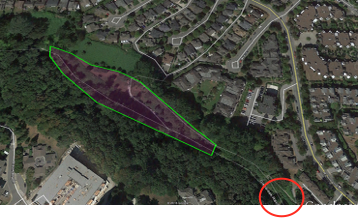 You know you have an inexplicable longing to restore the Glenbrook Ravine to it’s former glory, but just don’t know where to begin. And you know you feel good when you give back to your community and connect with nature. So why not come and connect with some old friends and meet some new ones on Saturday, June 17 from 10:00 am to 1:00 pm. We will have a number of enthusiastic volunteers out helping to restore one of the true gems of the city. This is a family friendly event that will have lots of opportunity for people to get involved in the coming months and even years. Parking is free at the Glenbrook Amenities Centre, and the location of work is approximately 300 metres in from there. If you have interest in being involved but can’t make this day, please contact me and I’ll be happy to give more information and help organize a day that works for you. Pleas forward this on to anyone who you think might be interested. Looking forward to seeing everyone on the 17th!